Activity in the multi-unit space has been significant and growing for years now, with seemingly all industry participants eager to get deals done. Franchised concepts are a hot commodity, and there’s no shortage and buyers and sellers looking to engage. Yet despite all of this interest, we still see a number of challenges arise over the course of any deal. While there are a variety of reasons both buyers and sellers alike will face difficulties when working to close a deal, purchase agreement negotiations typically turn out to be the most arduous part of the process. In recent years, one of the aspects that has required a lot of attention has concerned Reps & Warranties. Reps & Warranties weren’t always such a point of contention. It wasn’t long ago that transactions had an air of “buyer beware” attached to the due diligence proceedings. True, sellers have always been legally required to disclose any and all information about their business that could have a future impact or economic effect post-close, but over the years these discussions have become increasingly more burdensome. Sellers no longer have the power to tell buyers to do their due diligence carefully and thoroughly, because after the deal closes, it’s done. These days, Reps & Warranties have taken on a much larger and more onerous position within purchase agreement negotiations. Often, it’s no longer a straightforward discussion between the buying and selling parties, but instead a battle between the two parties’ legal teams. Having a trusted lawyer in place for purchase agreement negotiations is crucial to any transaction’s success. However, there are certain points of discussion, like those over Reps & Warranties, that can become unnecessarily long and drawn out in the process. Depending on the severity, this kind of occurrence regularly creates deal fatigue, ultimately having a negative impact on both parties and even interfering with a successful close. Now we are seeing a trend in the industry, with one option in particular becoming more and more prevalent in today’s market: Rep & Warranty Insurance. With its ability to mitigate some of the otherwise laborious negotiations on the matter, and the inherent feeling of security that comes with being insured, Rep & Warranty Insurance is an important topic to examine. To gain greater insight on the matter, I decided to reach out to one of the industry’s leading insurance companies providing Rep & Warranty Insurance in the M&A market today. Trisha Lee, the Senior Vice President of Lockton Companies, LLC, was gracious enough to contribute the following. 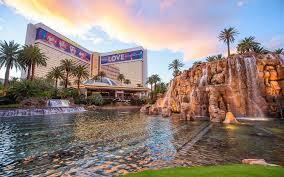 “Rep & Warranty Insurance (RWI) is at the forefront of merger and acquisition activity. RWI is a tool sellers utilize to transfer their escrow requirement to an insurance policy, thereby freeing up sale proceeds at closing. This enables a cleaner exit and locks in returns. From a buyer’s perspective, this insurance mitigates counter-party risk and strengthens the relationship with management rollovers by eliminating potential clawbacks. Claim examples could include a seller breaching the condition of assets representation; resulting in unexpected capital expense, or the financial statement representation such that the EBITDA determining the enterprise value was misrepresented. The insurance provides coverage over the general, fundamental, and tax representations with matching survival periods. Coverage can be structured for a specific representation or on a blanket basis. The process generally requires two weeks and insurers look to the quality of the buyer’s third party diligence work for their underwriting. It is most likely utilized on transaction sizes of $40 million and above. Markets that write these policies are varied, and are written in US markets or foreign (UK/Lloyds) markets. Claims are being paid, and this policy is designed to respond for financial loss arising from a breach of a rep or warranty from an unknown pre-closing issue. RWI is certainly an effective tool to carry in your deal closing arsenal, as well as a wise and prudent choice for prospective buyers and sellers today. It’s especially worth considering when you take into account RWI’s ability to streamline the purchase agreement negotiation process, essentially eliminate unnecessary points of contention, and keep deal momentum up. Because no deal is the same and each transaction requires its own unique strategy, I can’t say for certain that Rep & Warranty Insurance is right for everyone. What I can say is that I believe RWI is truly a beneficial mechanism, and it’s certainly worth exploring if you’re pursuing a transaction in the M&A space today. I would like to extend my sincerest appreciation to Ms. Lee for her contribution to this article. If you have any further questions regarding Rep & Warranty Insurance, you can reach Trisha by email at Trisha.Lee@Lockton.com. Overcomplicating things is part of the human condition; whether it’s something basic like picking out an outfit for a job interview, or something as monumental as selling the company you poured your heart and soul into, people tend to overthink both their choices and their actions. True, it’s not hard to understand why someone might overdo it when selling their company, but the bottom line is that most transactions are complex enough already, so making the effort to curb any overthinking will deliver the best chance of reaching a successful close. Interestingly, although perhaps not surprisingly, I have noticed a sort of “Jekyll and Hyde” dichotomy depending on the type of transaction a client is pursuing. Typically speaking, clients looking to recapitalize their business are more like Dr. Jekyll, remaining more rational and reserved during the process. On the other hand, we find our buyers and sellers presenting themselves in a Hyde-like manner. Sure, theirs are inherently more aggressive transaction circumstances, but that doesn’t account for the massive attitude shift that occurs in many people. While there are multiple factors that induce this change in behavior, I’d argue that they all come back to one central theme: objectivity vs. subjectivity. Each deal I have worked on in my 25+ years of experience has had its own unique characteristics, but there has also been an unmistakable trend. Although not always the case, I have often found that clients seeking some form of capitalization or financing engage in the process with an objective mindset. Alternatively, those pursuing an acquisition or divestiture go about things in a more subjective manner. Think about it this way… The Jekylls operate in a straightforward fashion, where their efforts are intended to accomplish a specific purpose, based solely on the facts of the situation. On the flip side, our Hydes are more likely to emphasize their moods, attitudes, and opinions, basing their actions on their own perceptions, as opposed to evaluating a deal opportunity in an unbiased fashion and by its merits alone. It should be no shock that dealing in a subjective manner undoubtedly makes any process more complicated than it needs to be. When people get wrapped up in their own emotional response, it becomes exceedingly difficult to understand the true motivation and reasons for your actions. Take a step back and look at the big picture. Why did you decide to pursue this course in the first place? How is it that you can best achieve this original goal? If you instead choose to focus on the granular details that hardly matter in the long run, you’re letting the deal process dictate the outcome, when it’s actually the deal opportunity that should drive your decisions. To be a legitimate player in the industry today, you should only engage in an acquisition or divestiture once you have a clear plan of action and a specific, resolute goal in mind. Know what you want to accomplish and have the confidence to stand by your business decision. If you want to sell your business, be prepared to sell – if your intentions are wavering regarding any aspect of the deal, you are automatically hurting your chances of reaching a successful close, not to mention the significant effect this could have on your reputation. If you’re known as someone who is difficult to work with, you’re severely hindering your chances of being taken seriously in the future. There’s a portion of the deal process that stands out as one which would arguably benefit most from taking this logic into consideration: Due Diligence. Above all else, buyers and sellers need to remember to be reasonable, on top of being objective. Sellers – don’t withhold pertinent information. Excluding excessive requests, the buyer has every right to view your updated financials and any additional metrics that are necessary in order to substantiate a valuation. Buyers – don’t submit a 30-page Due Diligence request list. Diligence is meant to assist you in understanding and subsequently confirming your bid; it’s certainly not the time to enlist an army of accountants and lawyers to take a fine-tooth comb to everything, with the hope that their reports will tell you what decision to make. Quite frankly, most of these items should have been addressed prior to this point anyway. Additionally, keep in mind that you are purchasing a business, not a guaranty – if you want a guaranty, buy an annuity. At the end of the day, you need to be able to rely on your own business judgement, because this is what should ultimately produce your decision. Think back to your original goal: looking at this transaction objectively, does it accomplish your core purpose? Don’t let your answer get muddled by a process that was unnecessarily complicated due to an emotional and irrational human brain. I frequently receive questions from clients and prospective buyers asking, “What’s the hottest new opportunity in the marketplace”? While it’s true that discovering the new McDonald’s or sexiest “Brand du Jour” seems most exciting, often times the greatest opportunities are far less glamorous. Do new and flashy concepts seem instinctively more appealing? Perhaps, but glamour is inherently fleeting, and as we operate in the multi-unit franchise industry and not the fashion industry, this subjective allure will forever be eclipsed by stability and the potential for operational upside. This might come as a shock to some, but I believe that Casual Dining might just be that opportunity in 2017. So, what about the widely-publicized fact that the Casual Dining subdivision has suffered greatly over the past few years? It turns out that the explanations for this are legitimate, but also manageable, and by no means going to cause the downfall of the entire segment. For example, some of the primary reasons for Casual Dining’s downtrend include more competition, consumers’ shifting preference towards take-out and delivery, changing tastes, demand for high quality offerings, and demand for speedy service. Considering these aspects, it’s not farfetched to see Casual Dining as behind the times, but it is also important to note that all of the aforementioned elements affecting this segment are not solely problems for Casual Dining, or even restaurant concepts at large, but instead factors that affect all businesses operating in the market today. Yet despite these issues, Casual Dining concepts will almost certainly bounce back in the future. There is one particular phenomenon I have witnessed time and again during my 35+ years working in the restaurant industry that is particularly relevant in this case: brands don’t die. Some brands will inevitably dissolve, but most find a way to survive and even thrive. 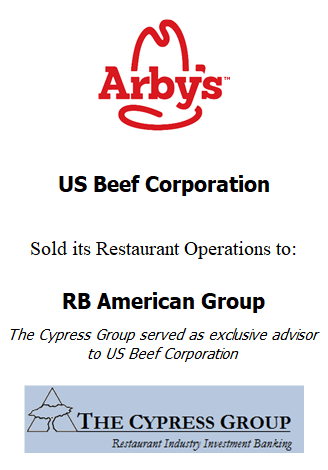 Some relevant examples of this happening can be found by examining the Burger King, Arby’s, and Denny’s systems. All of these brands found a way to weather some serious hardships, and are now arguably operating better than ever before. Thus, it is reasonable to expect that Casual Dining can and will experience a similar rebound. Furthermore, the Casual Dining segment is certainly not sitting idly by, waiting for the market to bring about this rebound; the big, savvy brands are making some crucial adjustments to address the issues they are faced with. Due to their established nature, these organizations have the ability to leverage their large-scale infrastructure to put the necessary resources behind these initiatives in order to win back their customer base. With a renewed focus on higher food quality, improving menus, and refining mobile apps and online ordering, these restaurants are ready to fight for the consumers’ attention. Casual Dining is also in a unique position, as it is perfectly situated to capitalize on the growing take-out and delivery trends that are making a huge impact on the restaurant industry today. Interestingly enough, it is this current conflict in the Casual Dining segment that consequently presents prospective buyers with the most substantial opportunity. The underperformance of the segment as a whole has significantly brought valuations down to the lowest multiples seen in years. On the flipside, valuation multiples for the top performing QSR brands, such as Taco Bell, have reached record highs, making the Casual Dining financials look far more attractive to a prospective purchaser. 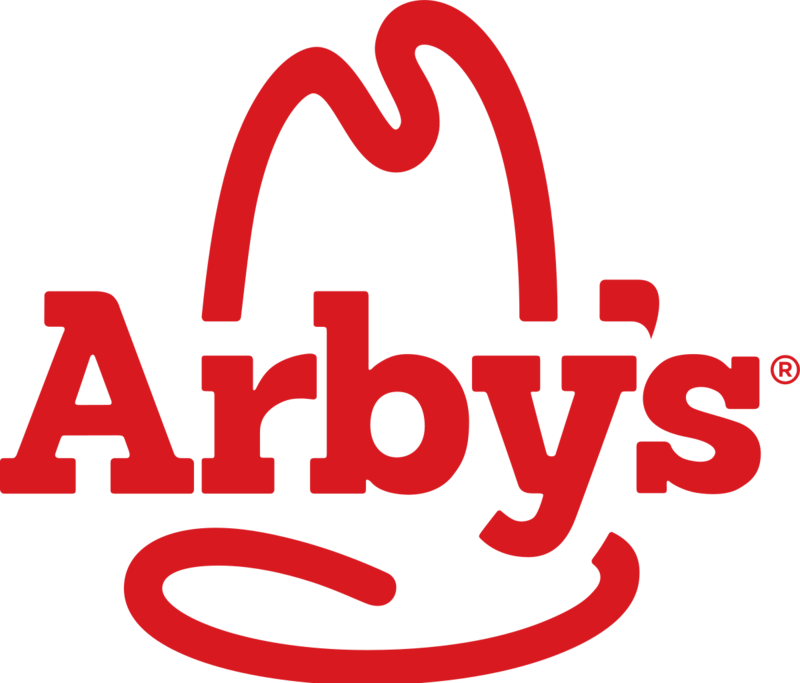 We must also consider the fact that it wasn’t so long ago that the QSR segment was experiencing a nearly identical struggle, further demonstrating the ebb and flow of concept and segment success that is fundamental to the industry. 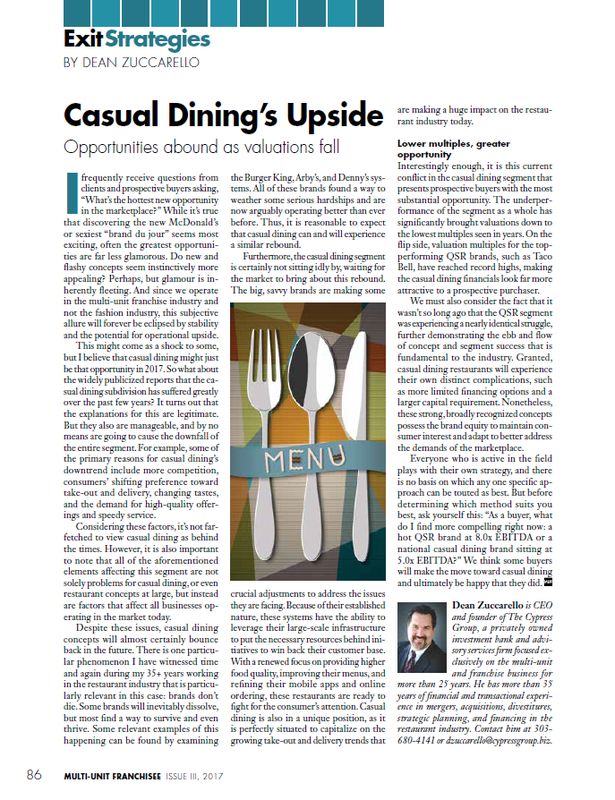 Granted, Casual Dining restaurants will experience their own distinct complications – such as more limited financing options and a larger capital requirement – but nonetheless these strong, broadly recognized concepts possess the brand equity to maintain consumer interest and subsequently adapt to better address the demands of the marketplace. Everyone who is active in the field plays with their own strategy, and there is no basis upon which any one specific approach can be touted as best, but before determining which method best suits you, ask yourself this: As a buyer, what do I find more compelling right now – a hot QSR brand at 8.0x EBITDA or a national Casual Dining brand sitting at 5.0x EBITDA? We think some buyers will make the move towards Casual Dining and ultimately be happy that they did.